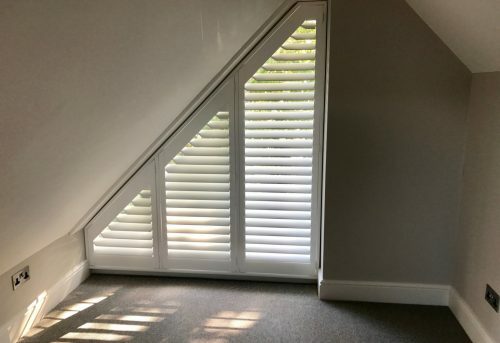 We have just fitted these wonderful plantation shutters to a modern house in Stockbridge, Hampshire. 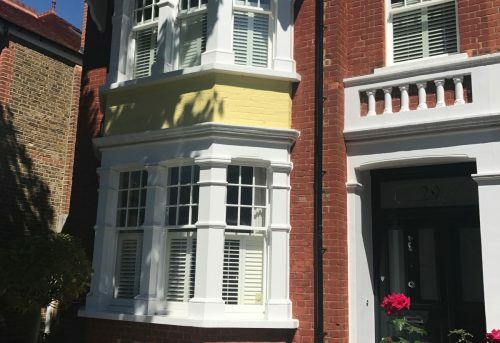 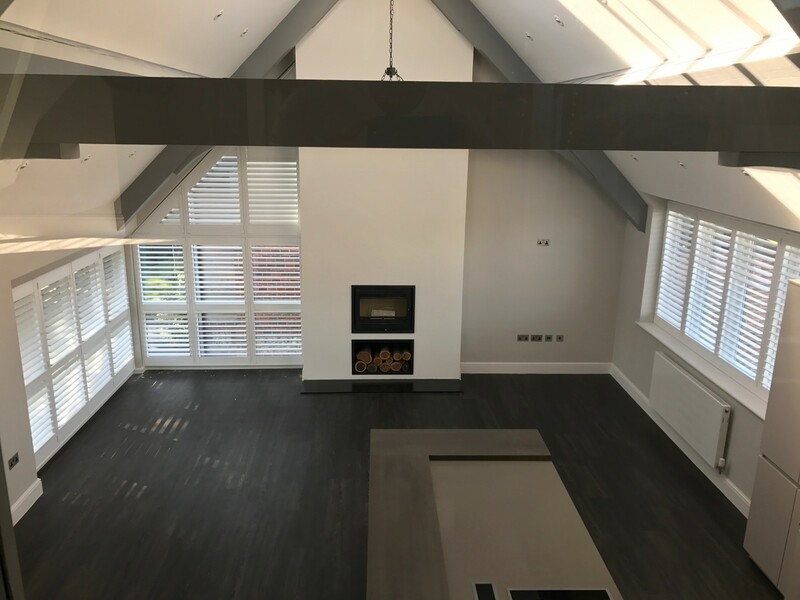 Our client wanted practical window coverings for their beautifully designed open plan living space, and with lots of large, unusually shaped windows, shutters were the perfect solution. 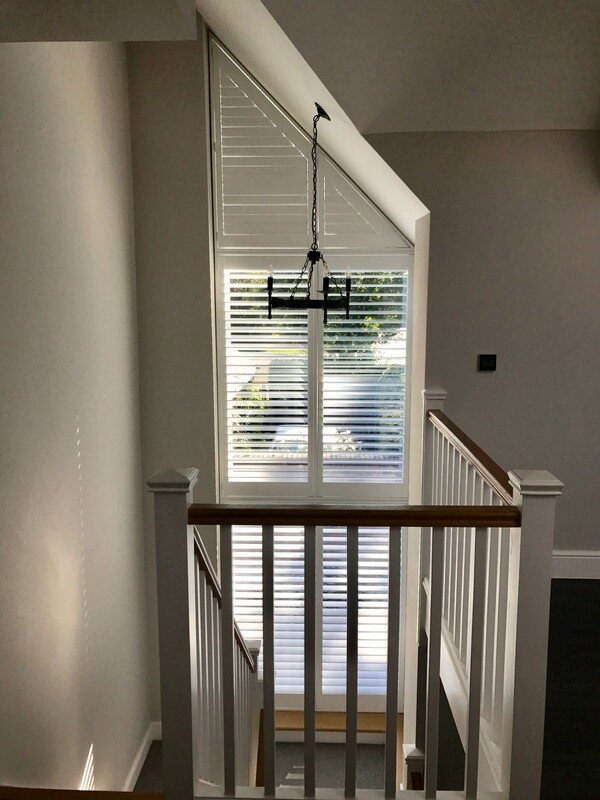 Each of the shutters were custom made to fit each window precisely and were made with hidden tilt rods for a clean and smart finish. 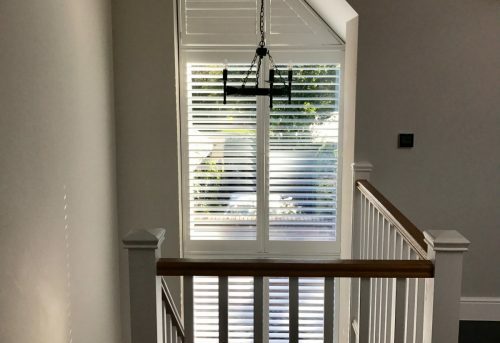 The large 76mm louvres allow lots of light to flood into the property whilst also maintaining some privacy during the day. 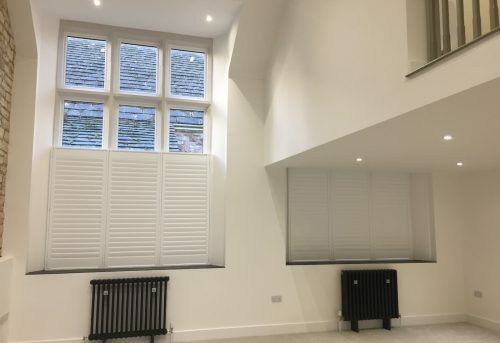 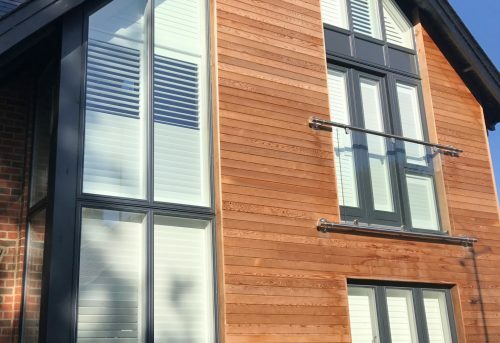 This is a fine example of how shutters can work really well in a modern property. 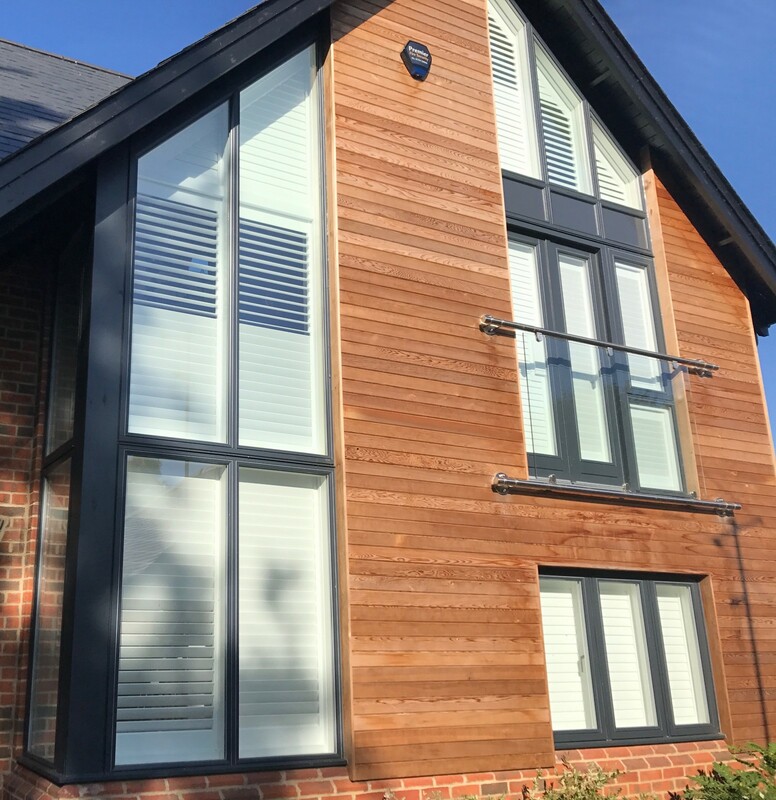 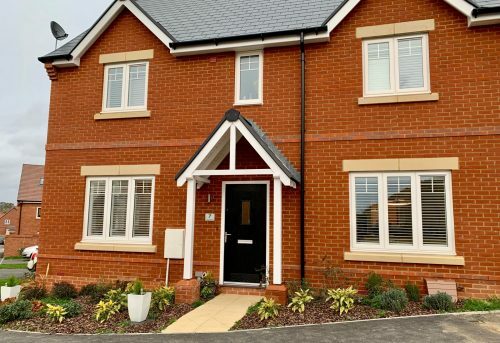 The simple, bold lines of the shutters compliment the smart and contemporary style of this stunning new home. 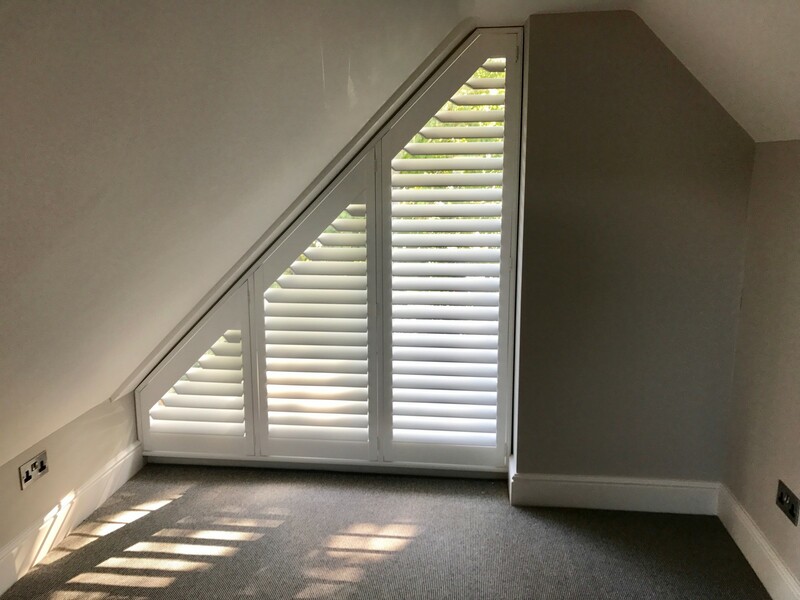 All of the shutters shown here are from our Hampshire Shutter Range with a 76mm centre tilt rod.